NASCAR star Tony Stewart just bought the All Star Circuit of Champions Sprint Car series, but he said Tuesday on SiriusXM's "Tony Stewart Live" show that he has no plans to race in it. In fact, he's not sure he'll ever be able to race a sprint car again after last year's accident that took the life of Kevin Ward Jr. 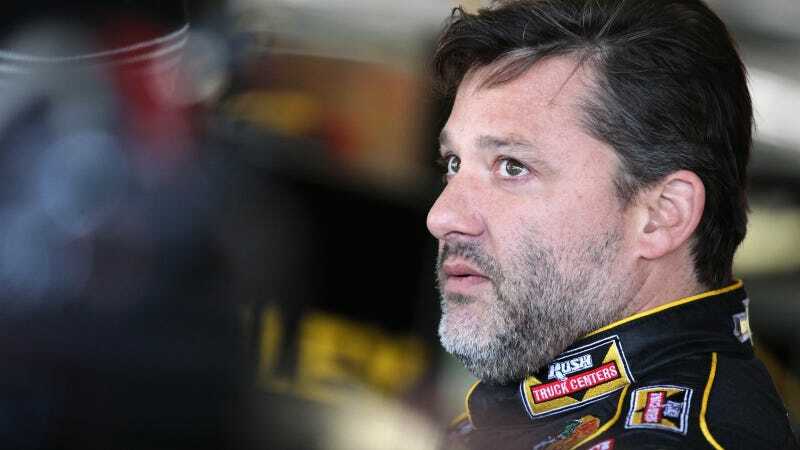 It's only been six months since the fatal sprint car accident at Canandaigua Motorsports Park, but it was so hard on Stewart that he withdrew not only from NASCAR Sprint Cup races immediately following the incident, but he also was unable to leave his house. Clearly, it's still fresh on his mind. I'm not sure being involved in a fatal accident is something you ever truly move on from, but to Stewart, that means he's unlikely to enter enter a sprint car race anytime soon. "I'm not going to be in a sprint car for a while, if ever again,'' Stewart on SiriusXM, as quoted by Fox Sports. According to NASCAR, Stewart used to like to schedule roughly 70 sprint car events a year to keep close ties with the grassroots short-track scene. However, a 2013 sprint car crash also broke Stewart's leg in two places, so doing that many races occasionally had other consequences for Stewart's Sprint Cup career. On the other hand, though, it at least endeared him to fans who appreciated his commitment to racing—not just the top levels of NASCAR, but racing as a sport. So, Stewart found another way to support grassroots short-track racing that doesn't involve him participating in it: purchasing the All Star Circuit of Champions series. "This is a way to give back to the sport. I'm passionate about it," explained Stewart on SiriusXM, as quoted by Fox Sports. "I'm really excited." The series is a mainstay of grassroots dirt-track sprint car racing, second in size only to the World of Outlaws. This isn't the first time Stewart has taken on ownership of various entities at the grassroots level. Between owning several sprint car teams, owning Eldora Speedway, co-owning Macon Speedway and Paducah International Raceway, and even helping to groom the surface at the Chili Bowl, Stewart is definitely committed to seeing the grassroots scene thrive. He's just not sure he can participate in it anymore, at least in a sprint car.